Toe protection tested to 15,000 newtons compression and 200 joules impac. 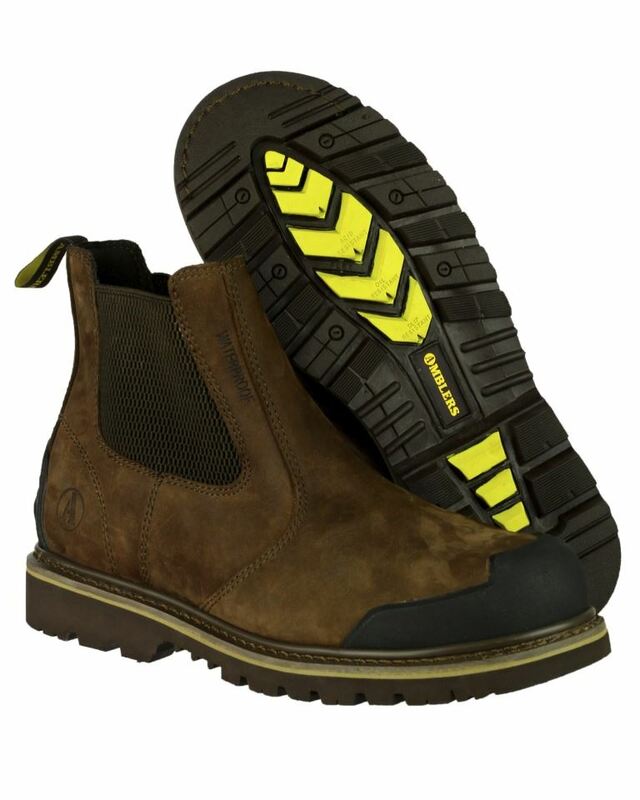 Penetration resilient sole up to 1100 Newtons. Energy absorbing heel. Antistatic. Water-resistant upper. Waterproof lined. Pull-on loop facilitates the owner to put on or take off footwear quickly. 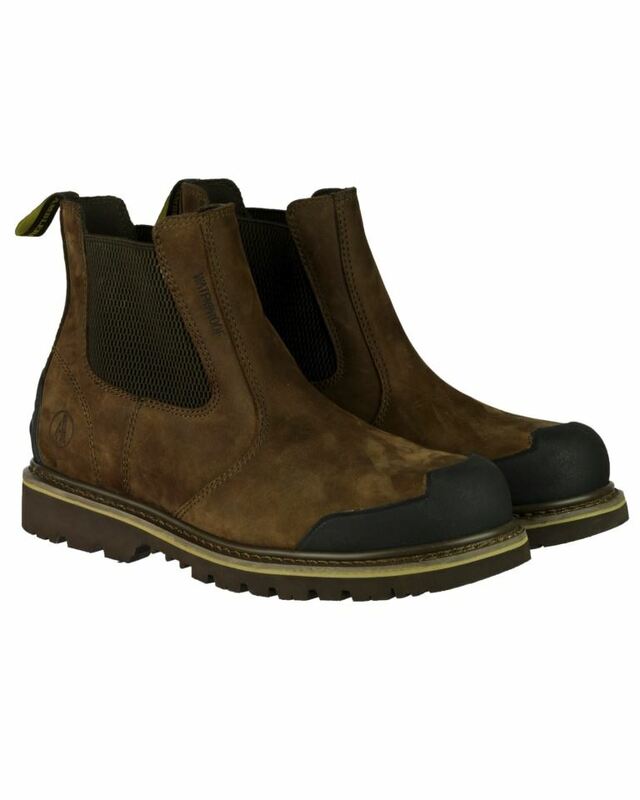 Goodyear Welt Construction Hard-wearing, rough technique for long lasting footwear. 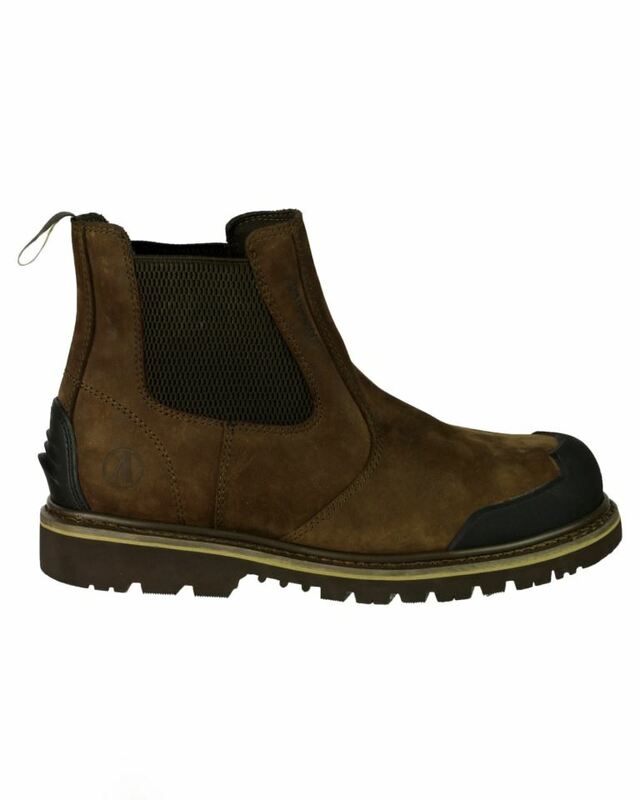 The sole and upper are heat-sealed and stitched together creating a long-lasting bind. 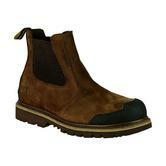 Hard metal is used (similar to a staple) to clasp the upper and welt in the internal part of the shoe. SRA slip-resistance: Established on ceramic tile contamination with a dilute soap solution. 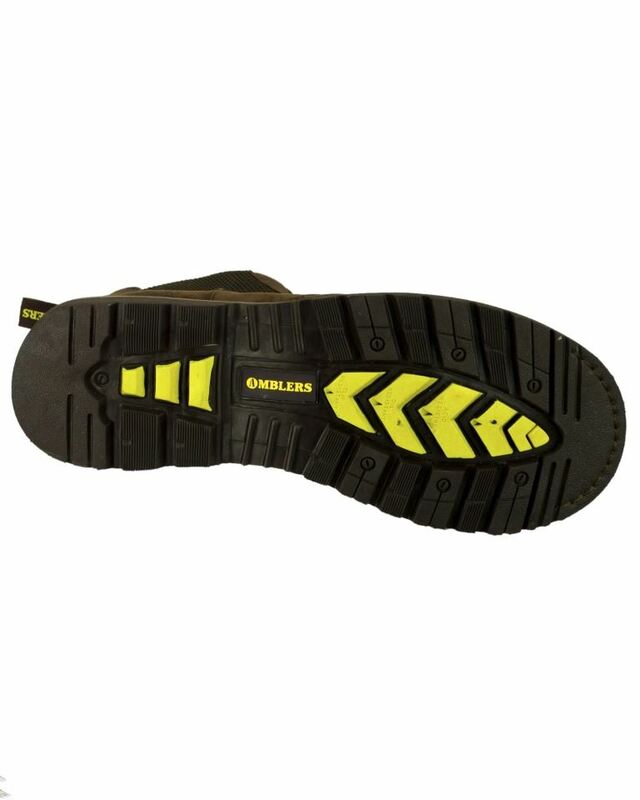 Rubber sole resistant to 300°c, oil, solvents, acids and alkalis. Looking for more? 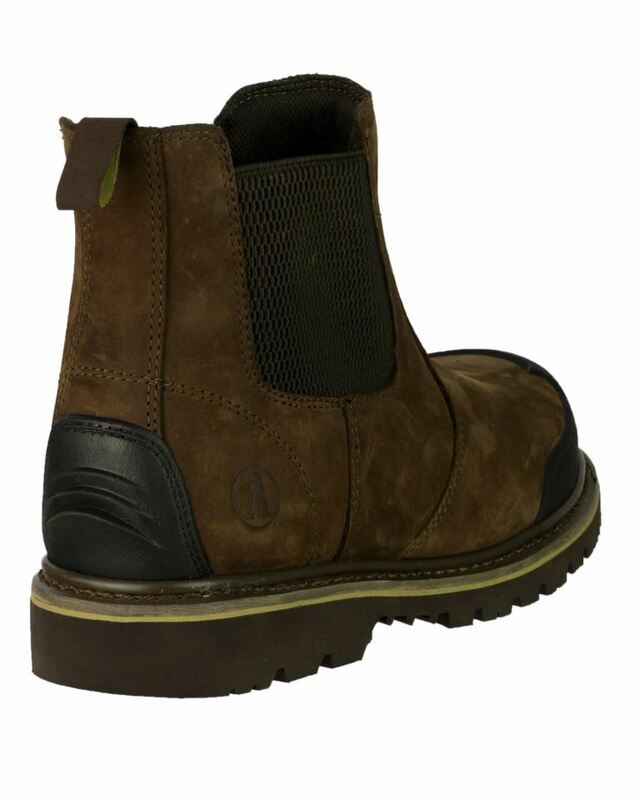 You can also view our Construction Safety Wellingtons. Or you might be interested in our Work Shirts Category.